Last spring we watched a bluebird make a nest in the rotted out fence post on our land. She laid four powder blue eggs and we waited for them to hatch. Two weeks later we checked again, and found the fluffy nestlings all alive and well! By the next visit, all the babies had fledged and the female had flattened the nest. 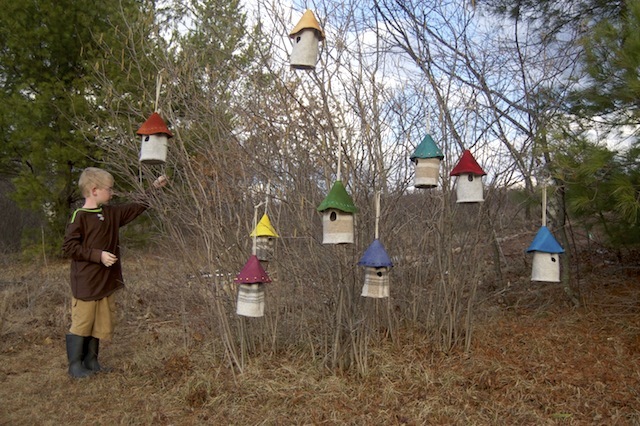 Luke and I thought it would be fun to make houses for more birds to come in and nest, so we came up with a few prototypes, until we found one we liked. For the base, I used an upcycled sweater, and designed it to be the shape of the fence post. 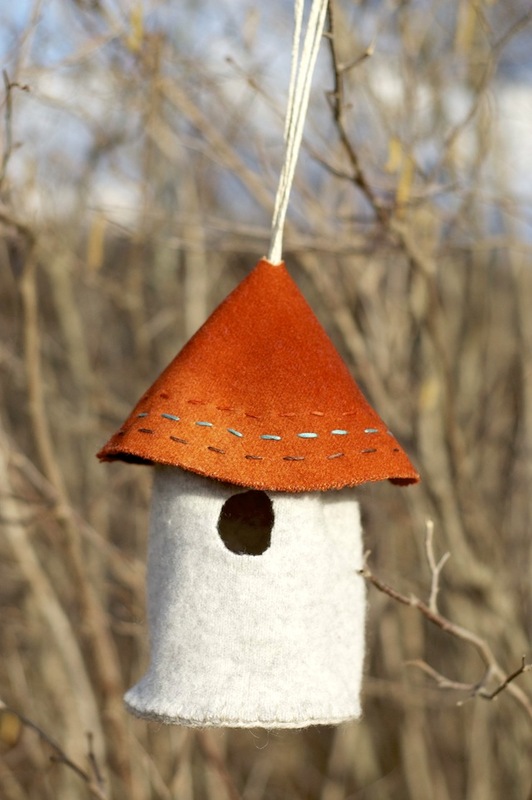 For the removable roof tops, I hand dyed pieces of a thrifted wool blanket and added some decorative stitches. Some of the houses even have natural wooden beads. 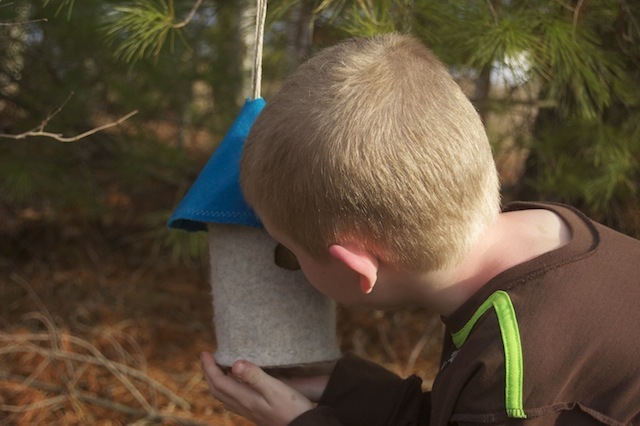 The hole size will accommodate birds such as wren, titmouse, chickadees, nuthatch, and bluebirds. 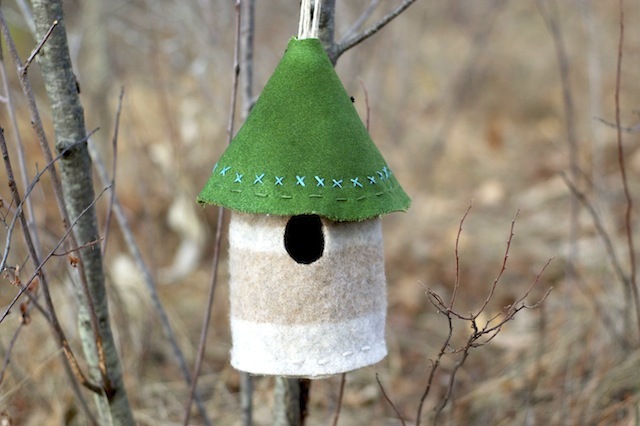 My favorite part of these felted birdhouses... the materials are biodegradable!! 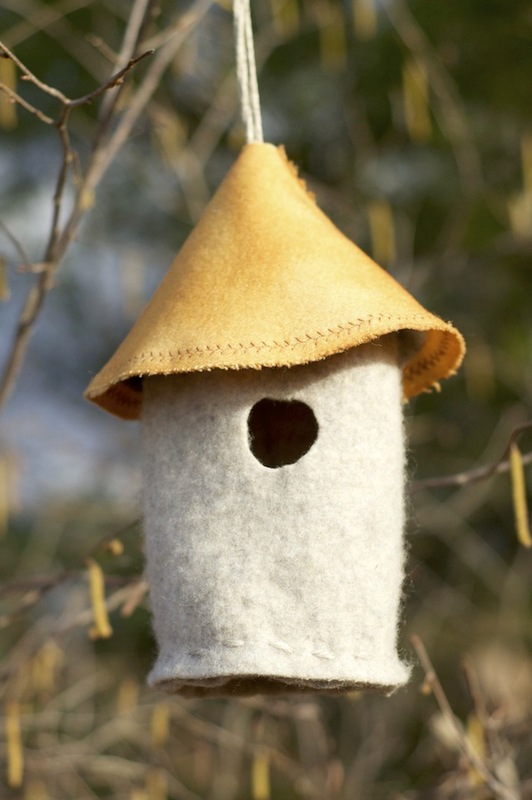 When the wool wears out, the birds can use every bit for nest building. 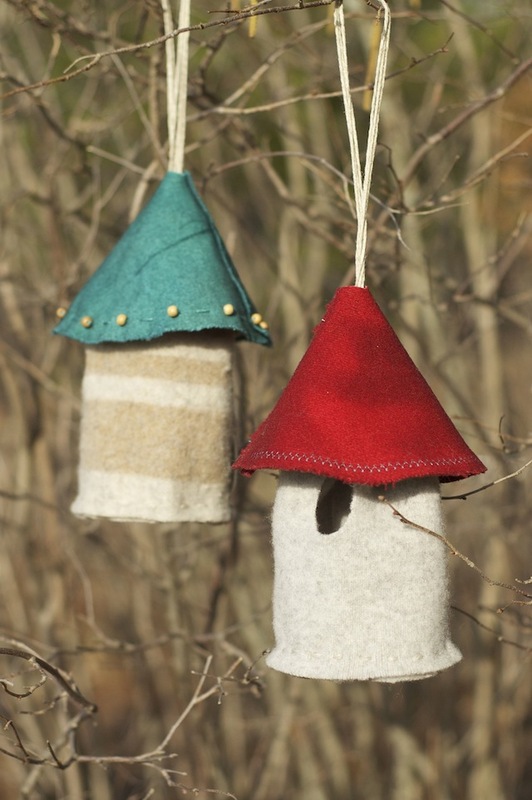 I think they would be really sweet tucked into a fairy garden, too!